When you look at a diamond certificate, you will see something listed on the report called a “culet”. The culet is an often overlooked part of the diamond. The size of the culet and the thickness of a girdle are important elements which can impact the diamond’s light performance. If you take a look at a diamond from a side view, you will see that it is divided into two parts by the girdle. The top section of a diamond is called the crown, and the bottom part is known as the pavilion. The point of the bottom of a diamond’s pavilion looks like an upside-down triangle, and the very tip is called the culet. It can either be pointed or blunted with a small facet. 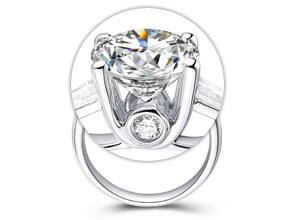 You might sometimes notice that a round brilliant cut has 58 facets, and the 58th facet is the culet. When you are looking to buy a diamond ring, you should look for culet that is either pointed, very small, small or medium, because these preferred grades are not visible to the naked eye when viewed from the top of a diamond through the table facet. While large to extremely large culets might look like an inclusion, sometimes large culets might also mean that culet was chipped or broken off. The purpose of a culet is to prevent the vulnerable tip of a diamond from breaking or chipping. The diamond could become chipped when setting it into a mounting, which is why you should examine your ring once you get it back from the jeweller. 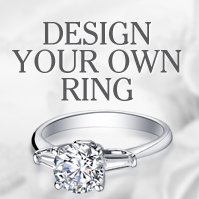 Are you looking to buy bespoke diamond rings? 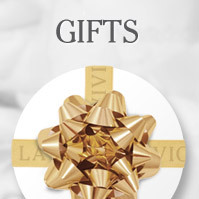 La Vivion has over 300 years of experience in the industry and is happy to offer you some of the most exquisite diamond rings on the market. 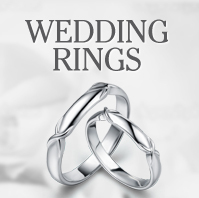 We not only provide some of the most beautiful diamond ring designs, but also an efficient and friendly customer service. If you want to learn more about how to select diamond rings and what to look for in a ring, we suggest you to read our blog which features a lot of useful information on the 4 C’s: diamond cut and clarity, carats and grading of diamonds.